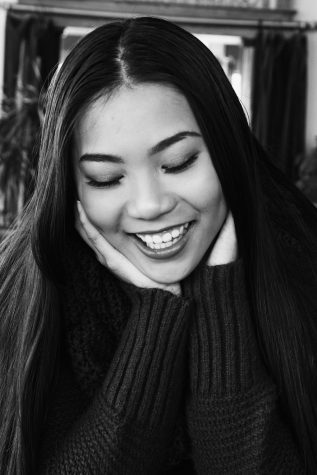 My name is Angelina Tran, but most call me Angel. I am The Advocate’s Editor-in-Chief. A major goal for my life is to finish school with bachelor’s, master’s, and doctorate degrees at Kansas State University. I am a part of the Upward Bound program, a college preparatory program based at the University of Nebraska-Lincoln. I plan on majoring in Secondary Education with an Endorsement in History and Business. My master’s degree will be in Educational Administration and my doctorate degree will be in Educational Studies. I am a varsity sprinter for the LHS Track and Field team, as well as a varsity letterman. I am a three-time state qualifier in the 100M, 200M, and 4x100M Relay. I am also a sponsored indoor track sprinter as well as a competitive powerlifter. My main goal is to return to the Nebraska State Track and Field Championship next May 2019. Another activity I am involved in is DECA, which stands for Distributive Education Clubs of America. As a part of DECA, I help with community service projects and events, fundraising, and I compete at the district, state, and national level. Currently, I am the President. As the student representative for LHS, I am a co-chair on the district High-School Task Force, a committee that is planning the next two high schools being built in the city of Lincoln. I am also the committee co-chair of Student Diversity and Community.